Brii Combination Wrestling presented Queen of the North from St. Helena Gym in the Bronx. NY this past Friday to crown the company’s first ever Women’s Champion and High Spot Podcast was there live to see history be made. “The Undead Bride” had originally pinned Darius Carter for the victory, to excitement of the BCW crowd, but that enjoyment would be short lived as the decision was reversed by Senior Official Steven Dumeng ruling that the Champion had his foot under the rope, having to re-start the match giving Darius Carter enough time to recover and get the win. After the match Su Yung sprayed Mr. Carter with her traditional midst and was then viciously attacked up the ramp by a majority the BCW women’s roster. Faye Jackson def. Aja Perera Tasha Steelz & Kris Statlander to become the first ever Brii Combination Wrestling Women’s Champion. 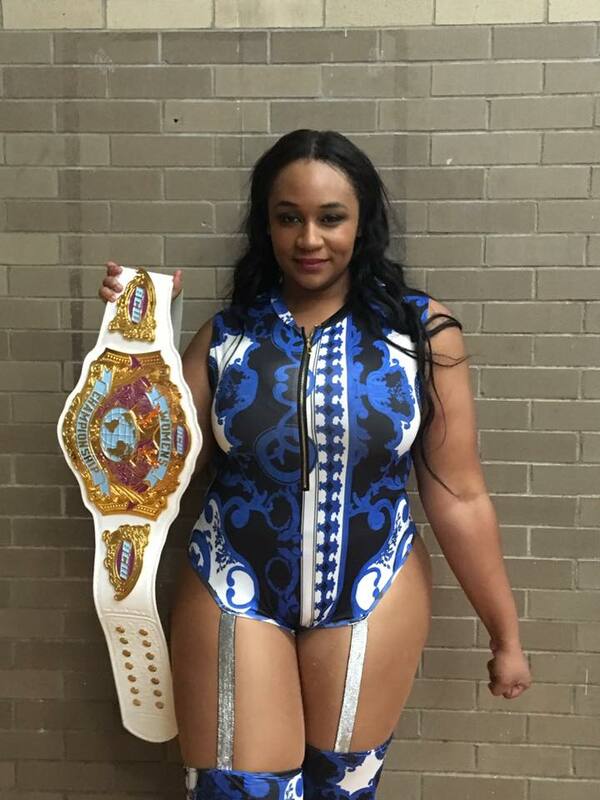 Brii Combination Wrestling’s Queen of the North lived up to the hype and it will be exciting too see the direction of company moving forward, but with two Champions the likes of Darius Carter & Faye Jackson the future is bright. Brii Combination returns on March 22nd at a site TBD with their anniversary show 3 The Hard Way that will see the debuts of AR FOX & Evolve Champion Austin Theory. Tickets available are available now!